Biologists in Japan have grown a human-eye precursor from stem cells, and amazingly, it was done without the guidance from a scaffolding structure. The breakthrough indicates that the information to form such organs are embedded within the cells themselves, and not driven by environmental cues. 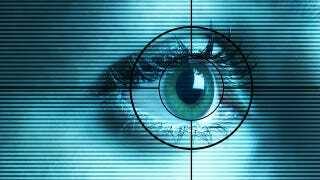 Researchers hope to take this insight into clinical settings where they hope to repair eye damage directly. The structure, which was developed by Yoshiki Sasai of the RIKEN Center for Developmental Biology (CBD) in Japan, was an "optic cup" only 550 micrometers in diameter, but it had all the hallmarks of an eye-in-the-making, including multiple layers of retinal cells and photoreceptors. Until now, stem-cell biologists have been unable to grow precursors like this, limited to two-dimensional sheets of tissue. Moreover, Sasai's breakthrough marks the first time that such a complicated feat was done with human cells. And just as excitingly, Sasai's experiment revealed that the cues for complex cellular formation comes from inside the cell rather than from external triggers. Once the retinal precursor was up-and-running, it spontaneously formed a ball of epithelial tissue cells and then bulged outwards to form a bubble called an eye vesicle. It then folded back on itself to form a pouch, creating the optic cup with an outer wall (which in time would be the retinal epithelium) and an inner wall comprising layers of retinal cells including photoreceptors, bipolar cells, and ganglion cells. The achievement is particularly promising for those hoping to advance cell transplantation. Sasai's organically layered structure could result in the transplantation of photoreceptor tissue. It could also lead to treatments for diseases, and the possibility that such tissue could be frozen in anticipation of future transplants. Sasai is confident that his model will work for transplantation, noting that these cells are "pure" and without residual embryonic stem cells – a factor that significantly reduces the chance of cancerous offshoots or growths of fragments of unrelated tissue (like bones or other organs). Looking to the near future, Sasai plans on transplanting sheets of the retina from his optic cups into mice, and then into monkeys by the end of the year. The challenge will be in getting the transplanted tissue to integrate with existing tissue. Details of the study were published in the journal Nature.